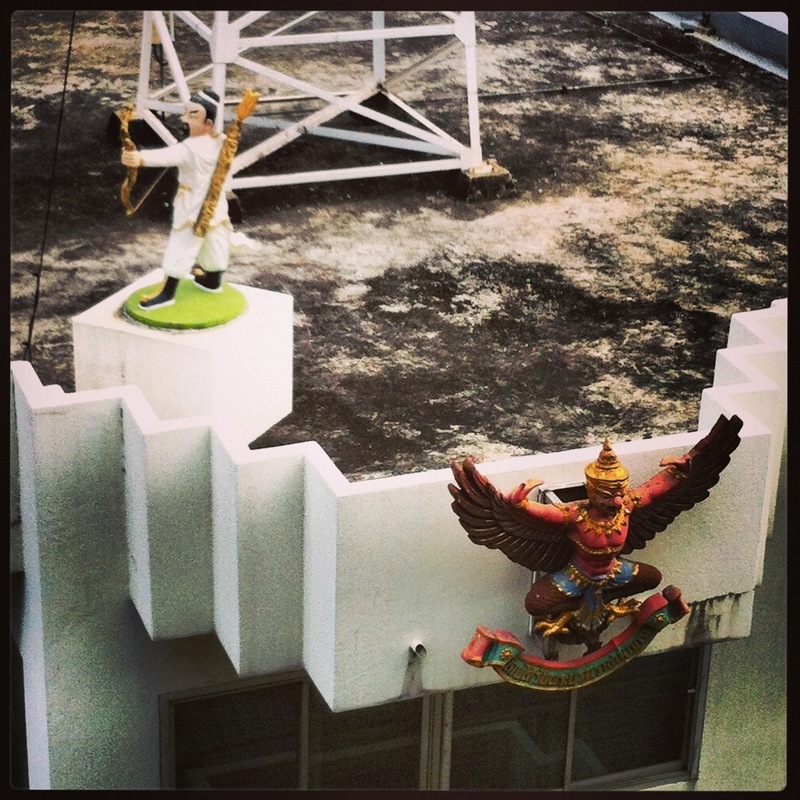 Nothing to see here, just a small statue of an archer on a random rooftop. This entry was posted in photographs and tagged Bangkok. Bookmark the permalink.